Just love this idea. 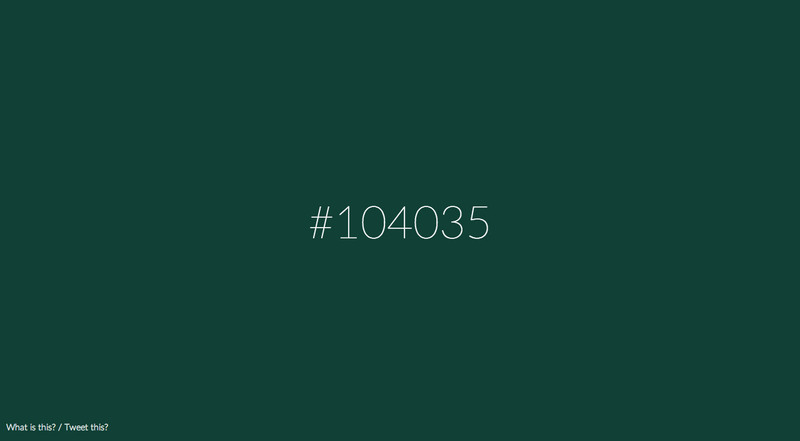 ‘Hex clock’ is an experimental One Pager that changes your browser background color according to the current time vs. it’s matching Hexadecimal color code, example midnight = 00h00m00s = black. A precise hexadecimal color clock. It goes the whole 24 hours color range, from #000000 to #235959. Yes, it's always very dark. For a more beautiful color clock, visit the colour clock.